What's it take to get the customer service you're looking for? Apparently, a whole pissed-off community. 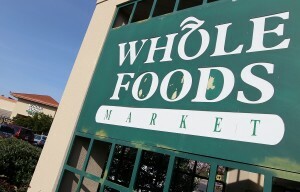 Whole Foods Market of Millburn-Union made an about-face after its loss prevention staff's detention of a 70-year-old Maplewood woman kicked up a social media firestorm, with hundreds of people complaining and many saying they'd never return to the store again, according to reports. "This is an unfortunate incident and we have reached out to the shopper directly to make things right," the store posted on its Facebook page. "We are also having discussions with the loss prevention company at this store to ensure they clearly understand our expectations when it comes to our customers." According to a report by MaplewoodGreen.com, Marge Dooley of Maplewood was stopped as she exited the store Oct. 4. She'd purchased about $200 in food, but left some cheese under her purse during checkout, the report states.